Ruari McCulloch is a dynamic new force on the London flower scene. He founded event florist 'Pinstripes & Peonies' just 3 years and 2 months ago, and already the company is recommended in Tatlers' Party Guide and listed as preferred supplier to every major London venue, including the Wallace Collection and the Royal Hospital Chelsea. So how has Ruari done it? Ruari chose the indirect route to event floristry: he studied law. He hated every minute of his studies, and yearned to be in the event industry. He applied speculatively to Michelin-starred restaurant Le Gavroche and was taken on as a trainee chef. After a while, Ruari moved to an event company as an event planner, and then onto a major London florist that was looking to develop its share of the event market. 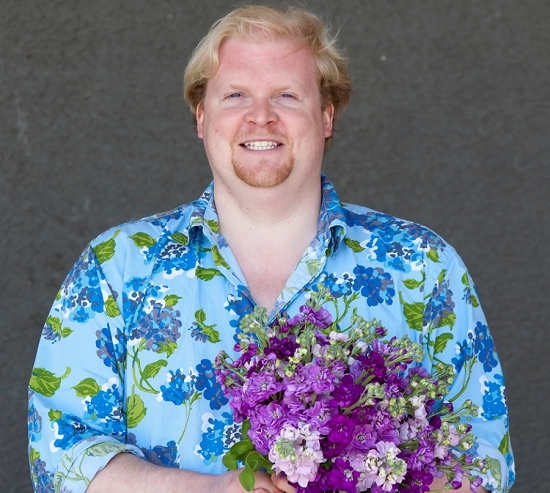 It wasn't until former colleagues started springing up in dozens of catering and event companies throughout the capital, all looking for florist partners, that Ruari decided the time was ripe to start his own event floristry business. Ruari's guiding principles for the Pinstripes & Peonies business are admirably succinct: "To only deal with nice people and with really beautiful flowers, because life's too short!" Whilst the event side of Pinstripes & Peonies dominates, the company also looks to spread their work more evenly by providing contract flowers to London's banking institutions and with plans to offer online bouquets from this autumn. Ruari has acquired his knowledge of flowers and floristry on the job and by gathering an expert freelance team around him. His first moves were to rent workspace at New Covent Garden Flower Market and, wisely, to recruit the floristry skills and buying acumen of Leonie Bear. "Our unit at the Flower Market is a great advantage to the business," says Ruari. "We have immediate access to all the flowers, plants, foliage and sundries we need, plus we have ample parking; it couldn't be a more central location. "We can respond to clients' last minute demands, and, on one occasion, were even able to create 25 table centres for a central London client with just 1.5 hours' notice!" Ruari remembers his first visit to the Flower Market very clearly. He had stumbled in by mistake during his time at Le Gavroche, and was so well treated by Terry at Zest Flowers that today, Terry has the majority of Pinstripes & Peonies' business. "My view is that you should always treat people how you want to be treated. Terry has always been polite and friendly, and so I would say that he has 75% of our flower business today and Dennis Edwards of Dennis Edwards Flowers the remaining 25%." So where does Ruari stand on the British question? 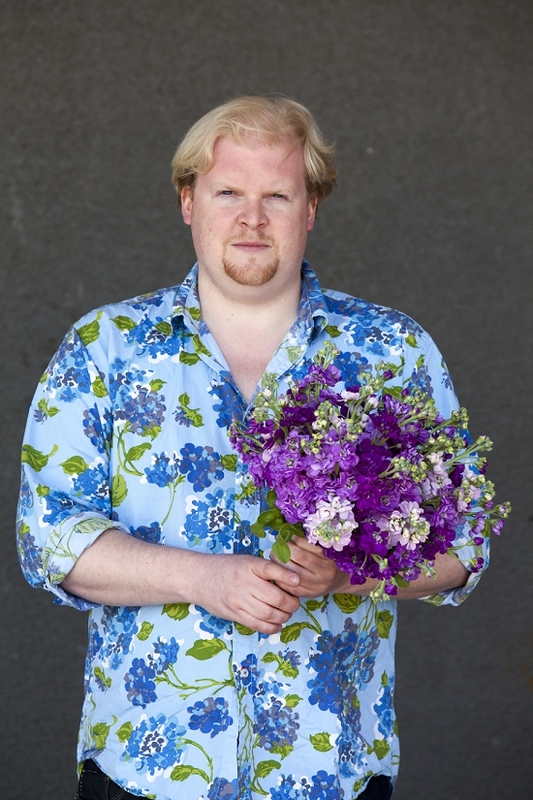 "In summer, British flowers represent about 30% of our spend," reveals Ruari. "There is demand for British seasonal flowers and reasonably and sustainably sourced flowers amongst our customers, and whenever we can find the right quality and sufficient quantity of British flowers, we absolutely use them wherever we can." “British can also be the most cost effective option in peak growing season, but you need to shop around. Being based at the Flower Market means we know we have the very freshest flowers available." For British Flowers Week, Ruari chose to work with the deliciously fragrance and ravishing colours of British-grown stocks. Discover all about stocks here or take a peek at the three designs he created here. "We also use a lot of plants from the Flower Market in our event work," continues Ruari. "So we use amazing British-grown potted orchids, and plant up terracotta pots of British herbs or ferns, which are very on trend at the moment." For foliage, including stunning British foliage, Ruari loves both GB Foliage and Porters Foliage, and sources most of his sundries from Something Special and C Best.